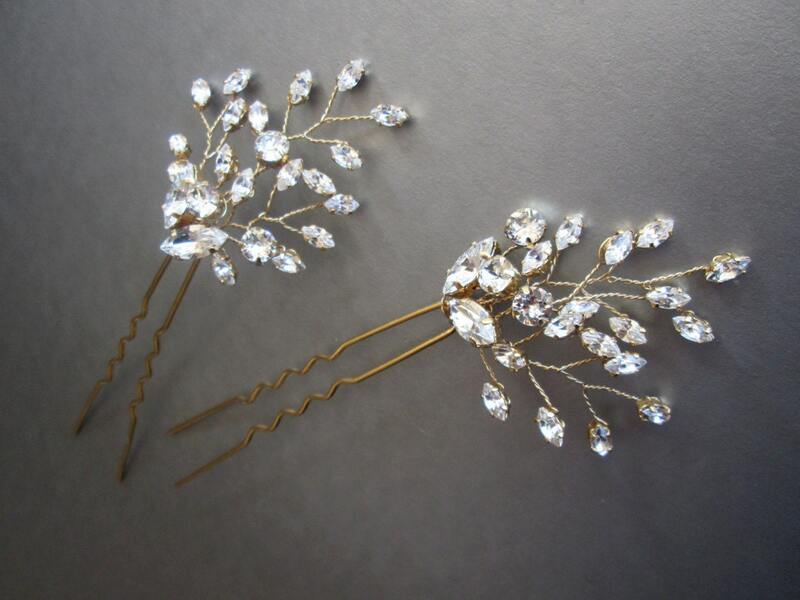 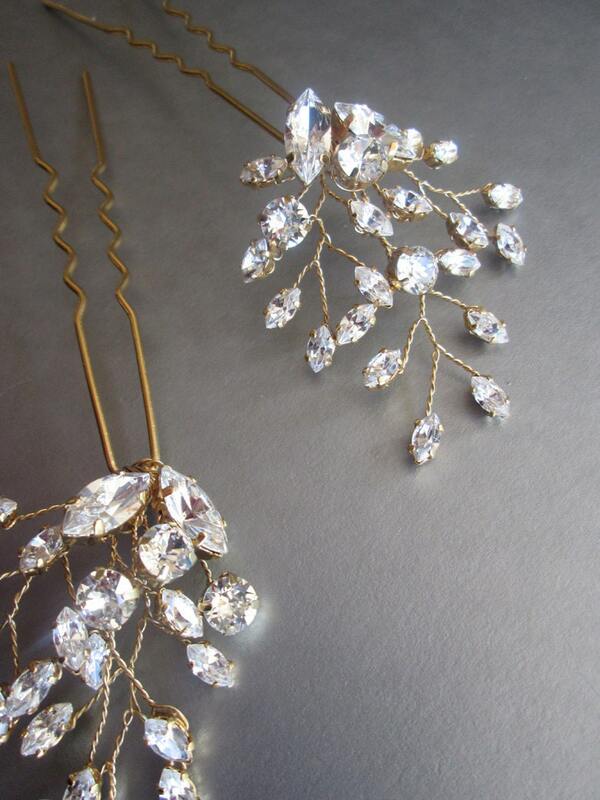 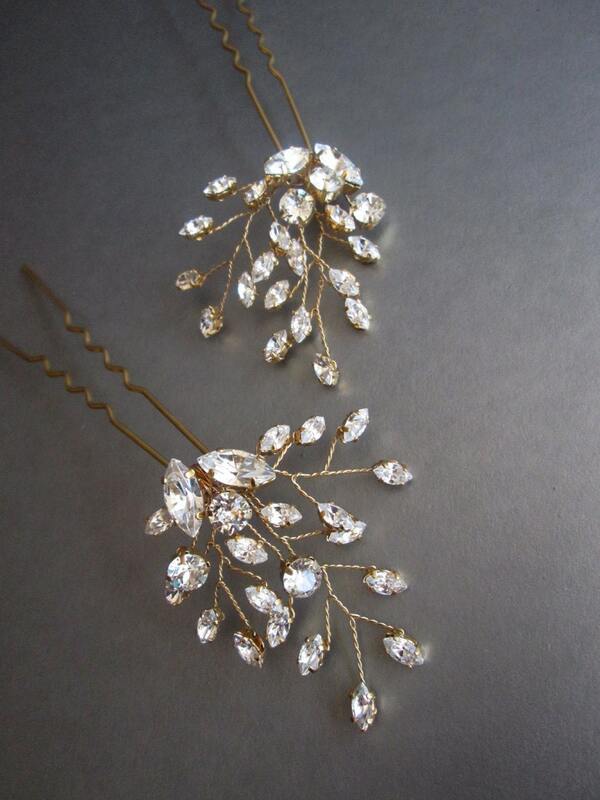 Lovely floral hair pins made with top quality Swarovski crystals that sparkle in your hair with every move. 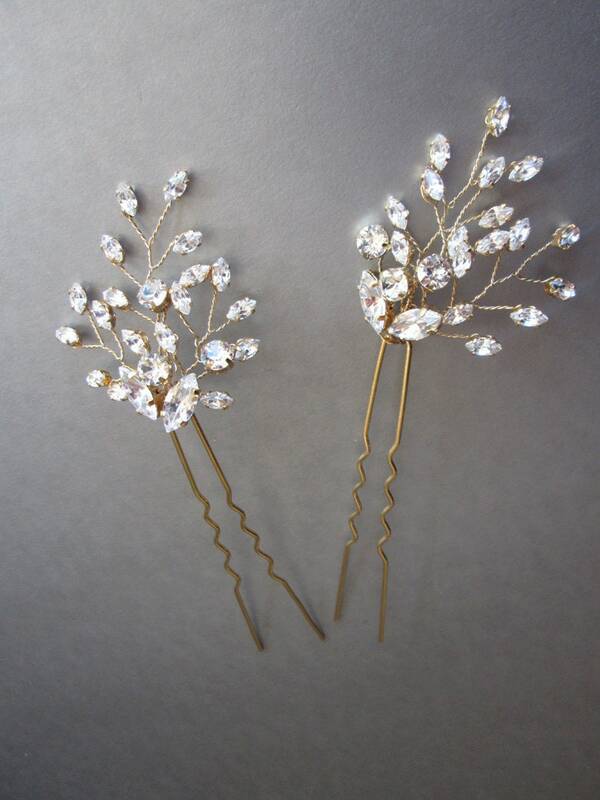 These pins measure about 2" tall on top and about 5 1/2" long total. 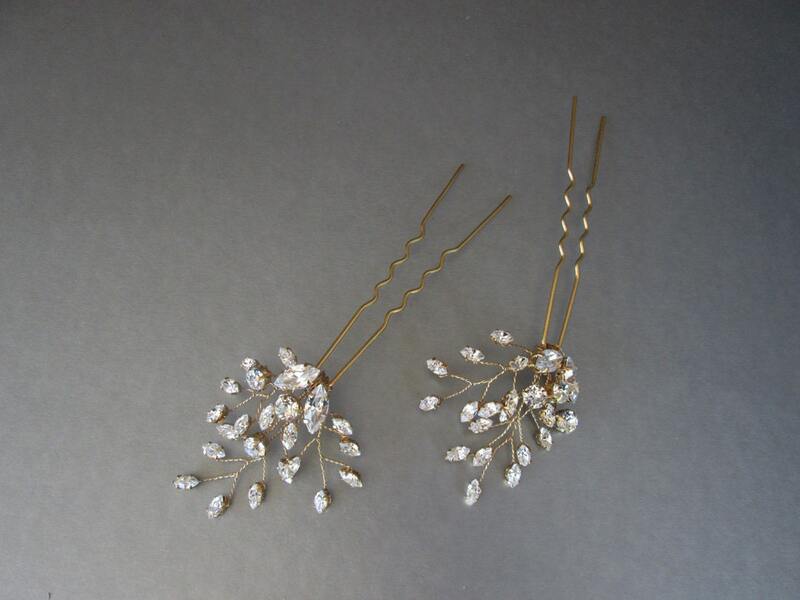 Also available in rose gold and silver finish.